Why should we be interested in a family for such a long time (from the 17th century until today) ? Probably for their uniqueness. This family of proestant origins, endured consecutive persecutions during the Révocation of Édit of Nantes by Louis XIV. 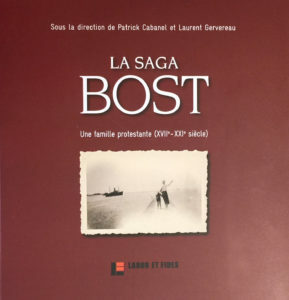 Ancestor, Jean Laurent Bost (of Beaumont-lès-Valence in the Dauphiné), took refuge in Geneva in 1720. These strong personalities each merit a book of their own. It is across more than two centuries of history that you are invited to browse these rare images, french, european and of other continents. Here also a way of uncovering amazing lives of people, women and men, who had in common each of them a demanding idea, of existence and often a phrophetic vision. 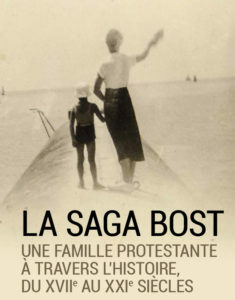 The work has been carried out with the help of the Fondation John BOST and of the home of John et Eugénie Bost.